In the wake of Bob Dylan being awarded the Nobel Prize in Literature last week, pop observers floated other names whose lyrical abilities were worthy of being awarded by the Scandinavian arbiters of cultural greatness. 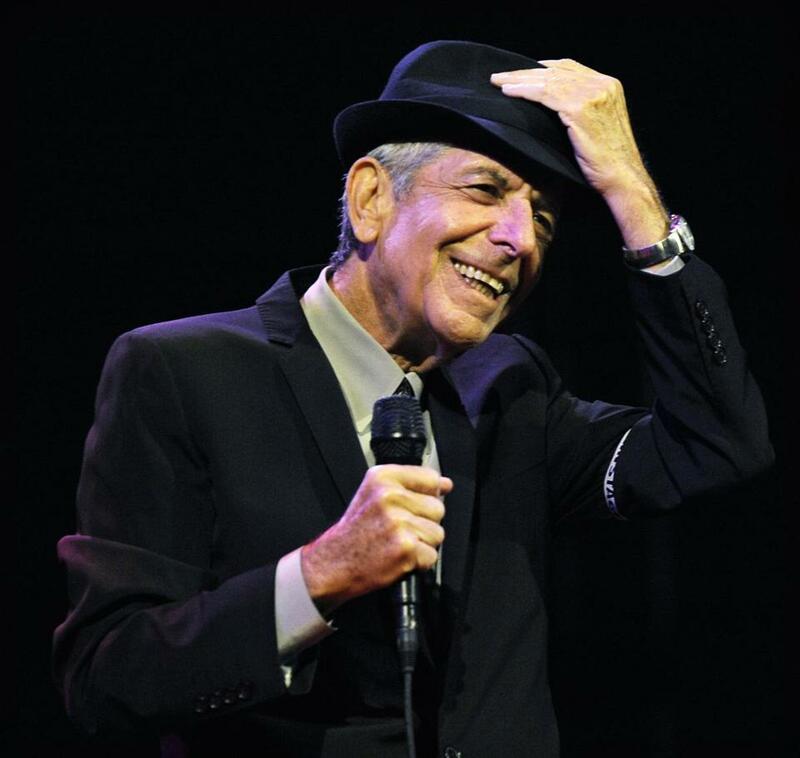 One name that came up persistently was that of Leonard Cohen, the 82-year-old Canadian bard whose 14th studio album, “You Want It Darker,” is a taut display of his dry wit and ability to wring beauty out of even the most harrowing human ideals. Cohen has been examining the duality between the sacred and the profane for decades. Though some bowdlerized, chorus-heavy versions elide this, his debauched hymn “Hallelujah” examines lust through the prism of godliness, while his 1992 track “The Anthem” provided an argument for life’s fundamental brokenness: “There is a crack, a crack in everything/ That’s how the light gets in.” On “You Want It Darker,” though, his focus is more on the pitch-black side — take “Traveling Light,” a regretful track that on the surface is about abandoning love. (It appeared in earlier form in his 2006 poetry collection “Book of Longing. )” “My once so bright, my fallen star/ I’m running late, they’ll close the bar/ I used to be one mean guitar,” he mutters over a weeping violin and a glum chorus. Then: “I guess I’m just somebody who/ has given up on me and you.” It’s a simple statement of resignation, but the details Cohen provides and hides, combined with his seen-it-all groan, add up to economical poetry that can be extrapolated to situations that go far beyond romance. Cohen’s son Adam produced “Darker,” and his touch gives just the right amount of adornment to his father’s weathered burr — mournful strings accentuate the sandpaper grain of the elder Cohen’s voice on tracks like “Steer Your Way,” while the gently forceful piano on “Treaty” underscores its lyrics’ agitated poetry. On the title track, which opens the record, the Montreal-based Shaar Hashomayim Synagogue Choir provides backing vocals and the chorus; “Hineni, hineni” (”Here I am” in Hebrew), they moan, before Cohen comes in with an addendum: “I’m ready, my Lord.” Cohen has been honing his vision of the relationship between the beautiful and the damned for decades, and “You Want It Darker” is another stunning examination of what, exactly, leads to the cracks that eventually allow light to shine through.